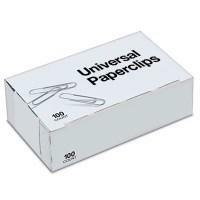 A text-based idle game where you play as a paperclip maximizer. Click to create paperclips, then buy upgrades to increase your ability to create paperclips, and go on from there - like many of the best idle games, there are a number of phases each with their own focus and surprises. Some phases take some time to properly understand, partly because the UI leaves a lot unexplained (you might want to look up how to read a payoff matrix if you don’t already know), but the game does an excellent job teaching through mechanics. If you experiment and pay attention to which strategies work and which don’t, you’ll unavoidably derive some basic principles of economics, game theory, and the mathematics of Von Neumann machines. I did feel the game ran a bit long, with some phases that keep going after they’ve taught what they had to teach, but I acknowledge that may be because I happen to have a foundation in most of these topics. Others may find the length gives them time to reinforce and internalize the concepts. Also conveyed via mechanics is the game’s story, which is unsurprisingly a darkly comic tale of AI risk. Although there are a few moments that don’t quite support the themes mechanically (particularly in a few of the phase changes, and I honestly don’t understand why there’s any music in the game) it’s impressive how effectively the overall story is presented through the player’s options and the consequences of their actions. And the ending is just about perfect. I Stopped Playing When: I finished the game after about six hours (run time will vary with how much attention you pay to the game and how efficient you are about allocating resources and clearing bottlenecks). There is a restart mechanic; I did not use it.